Time for nominating and awarding the films of he past year! The Hobbit: The Desolation of Smaug, despite what people say, was a huge success - being one of the top 20 highest-grossing films of 2012 as of January 1, and now, a month since its release, has taken in a total of $769.2 million dollars, according to BoxOfficeMojo.com. Such a popular movie deserves a few awards, and a few nominations have already started coming in. 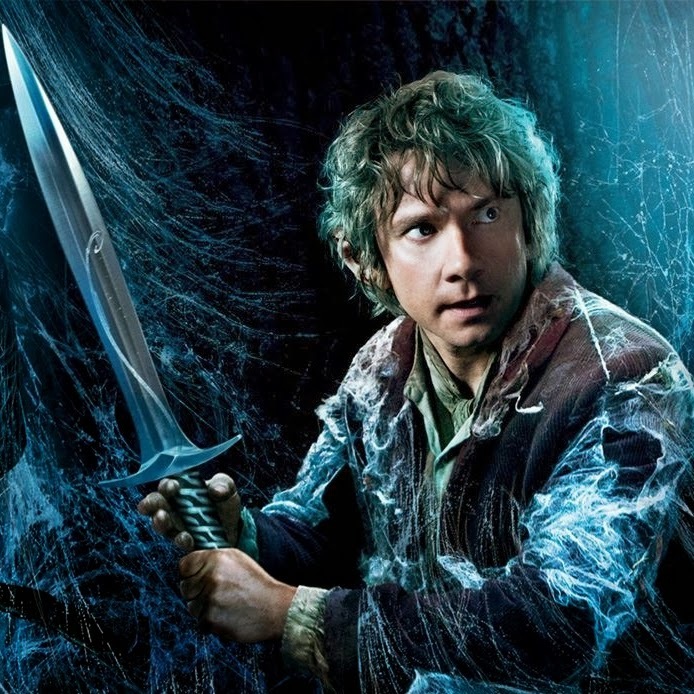 Tolkien scholar and blogger Michael Martinez examines how much padding is in the three Hobbit films - separating and defending necessary and proper additions to the story from Peter Jackson's use of artistic license to the extreme. You can read the article at Michael Martinez's Middle-earth & Tolkien Blog. The Hobbit: The Desolation of Smaug received 2 BAFTA (British Academy of Film and Television Arts) nominations: Peter Swords King, Richard Taylor, and Rick Findlater were nominated for Best Make-up and Hair, while Joe Letteri, Eric Saindon, David Clayton, and Eric Reynolds were nominated for Best Special Visual Effects. See the full list of nominations at awards.BAFTA.org. The Hobbit: The Desolation of Smaug received a Costume Designers Guild nomination: Ann Maskrey, Richard Taylor, Bob Buck were nominated for Excellence in Fantasy Film. See the full list of nominations here. The Hobbit: The Desolation of Smaug receives an Art Directors' Guild nomination: Dan Hennah was nominated for Excellence in Production Design in a Fantasy Film. See the full list of nominations here. Another filming pickup in May? We all thought everyone was done for good when the filming pickups last year ended - at least there was no confirmation of filming pick-ups happening again this year. However, the newspaper Irish Examiner, in an article about James Nesbitt, contains this sentence: "Nesbitt confirmed that he is returning to New Zealand in around May for the filming of the third Hobbit movie." You can read the article at IrishExaminer.com.